Ladies and Gentlemen. Our topic today is the initial discussion about HTML and HTML syntax. It is very important in today’s discussion. The full meaning HTML is Hyper Text Markup Language. It’s a markup language. HTML is not a programming language. It is the structure of the website. However, as I mentioned earlier about the need to learn HTML. HTML 5 is the latest version of HTML. The new features have been added to this version. To learn HTML, you need a browser on your computer, and you need a text editor. You can use a text editor Notepad plus plus. To download notepad++ click here. Now I will talk about the structure of HTML. Try to understand each line. If you have difficulty understanding any of the lines, comments to tell me. Remember, if you can not do better understanding of today’s episode will not be able to understand the rest of the Episodes. To get started, first enter the following HTML code in notepad++ . Write with your own hands, don’t copy. I understand that you still have not understood anything. no problem . I’ll explain you each of line. The first line refers to the browser to write that it is a HTML document. Since we’re using HTML 5, we r using <! DOCTYPE HTML>. If you use HTML 4.01, we need to write <!DOCTYPE HTML PUBLIC “-//W3C//DTD HTML 4.01 Transitional//EN” “http://www.w3.org/TR/html4/loose.dtd”>However, since we are using HTML 5, so we just need to write <! DOCTYPE HTML>. At the top of the HTML to use this type of dock. Many people do not give importance to the HTML Doctype. However, to avoid this issue is to be professional. For example, if you do not use Doctype some browsers do not properly work. So, at the beginning of each HTML file you need to use Doctype. To understanr the second line, you have to understand about HTML tag. The words i.e. “<html>, <head>, <title>, <body>” are called tag. Just look at the tags that start with Less Than sign and ends with Greater Than sign. So, is written. Each tag is about to begin and end. Therefore, thetag has the tag In this way, has been completed. Less Than symbol tag is end with a Forward Slash (/) character. Tags do not appear directly in the browser. See the index.html file so that the tags are not displayed in the browser. Just browsing elements are displayed. The text which in the middle of the HTML tag is called elements. The second line is about to tag. All the HTML code is to written between the <html> tag. In The ninth line <html> tag is end. 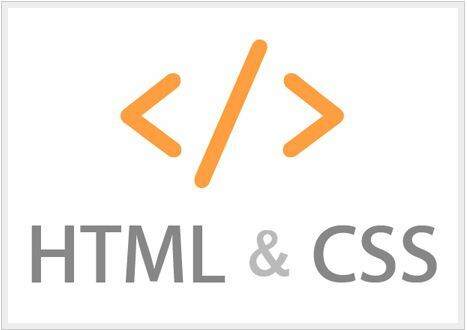 <Html> tag contains two sections of thesection, and the other is thesection. The third line, which is a tag line at the end of the fifth. Similarly,tag is a label which is subsequently finished. The seventh line Welcome to HTML Tutorial! It is written and displayed in the browser. This is the HTML element. The element is displayed in the browser. However, tags are not displayed in the browser directly. Finally, you have to save the file as index.html. Here you can enter any text index instead of typing. It is your desire. However, to keep the .html extension. The file name must have the .html. Many people make the mistake instead of .html and .txt file Please open the browser. But it will not work. You can write .htm instead of .html.